A Festival Freak's Guide to the Best in the U.S.
Hendrix at Woodstock. Dylan at Newport. Queen at Live Aid. Music festivals are known for their iconic performances. And while the chance of seeing the show of a lifetime is exhilarating, most of us look forward to festival season for the fresh air, the camaraderie, and the spectacle of it all. Getting together with thousands of people to listen to music, see one-of-a-kind art installations, and enjoy the outdoors is a communal experience that makes us feel part of something bigger. Whether that festival takes place on Tennessee farmland or in the heart of Chicago, it’s something that sticks with you for a long time. While you can find festivals throughout the year for any genre of music, there are some that simply stand out above the rest. They’ve become more than just a venue for artists, but a destination themselves. Here are 10 festivals across the U.S. that are worth visiting—no matter who is on stage. There’s never a bad time to visit New Orleans, but for many, the best time is an annual pilgrimage to the 50-year-old cultural institution that’s become known as Jazz Fest. This celebration of the music and culture of the region began as a showcase for local musicians, but it has evolved to now attract national headliners in every imaginable genre. You’ll still have plenty of opportunities to enjoy Cajun music, zydeco, and, of course, jazz, and the New Orleans-based artists who’ve performed here (like the Neville Brothers, Dr. John, and Ellis Marsalis). Big draws like Bruce Springsteen, Stevie Wonder, and Stevie Ray Vaughn have also delivered incredible sets here. And the food offerings are just as impressive as the music, with more than 70 booths giving festival-goers a taste of the incredible flavors that represent the culinary mixing pot of New Orleans. 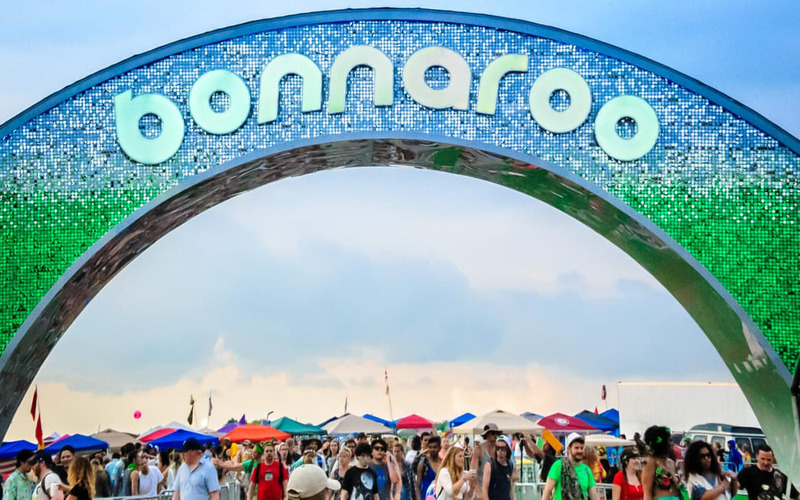 While Bonnaroo began in 2002 as a festival for jam bands on a Tennessee farm between Nashville and Chattanooga, it has grown into one of the country’s top destination festivals. With a dozen stages and more than 150 musicians, comedians, and artists, you can never see it all at this four-day festival. With camping on the festival grounds, the party goes well into the night here. 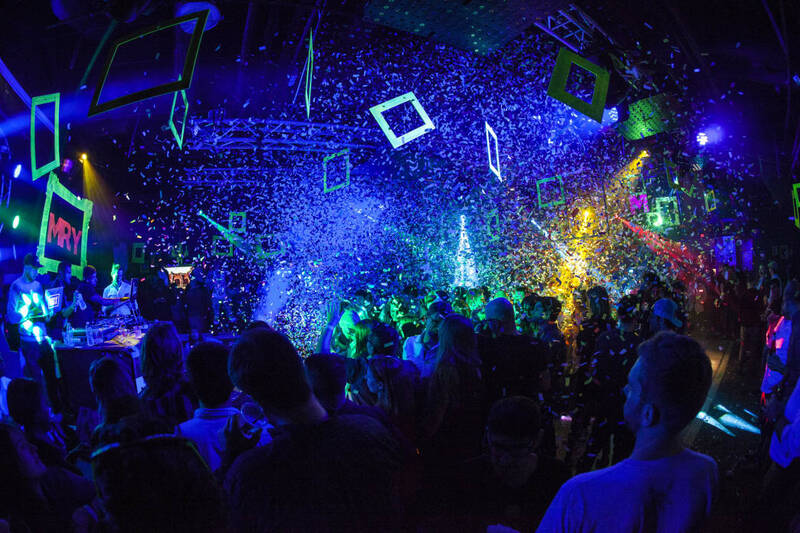 In addition to headlining acts, you’ll find electronic music, dance parties, light shows, art installations, and any other manner of creativity you can imagine. There’s not a lot of sleeping going on. While many music festivals take you outside of the big city, Lollapalooza is held in downtown Chicago’s Grant Park, surrounded by the city’s iconic skyscrapers. The festival began as a farewell concert tour for Jane’s Addiction in 1991, but like many farewell tours, it didn’t stick. After several years as a multi-city tour, Lollapalooza set roots in Chicago in 2005, and it has grown into one of the city’s top draws, bringing in more than 400,000 people over four days. While it has its roots in alternative rock, heavy metal, and punk music, you can find just about anything now on its stages. Some of the most memorable performances have come from Kanye West, Eminem, Outkast, the Red Hot Chili Peppers, and Pearl Jam. A bonus—for some—is that after a long day at the festival, you can walk to a plush Chicago hotel and get a good night’s sleep. Started in 1987, South by Southwest (SXSW) has become a behemoth that takes over Austin for 10 days every March. It’s now well beyond a music festival, with a focus on interactive arts, film, comedy, and gaming as well. It’s also a conference and trade show for those interested in film, culture, music, and technology. You can literally go from hearing CEOs, politicians, and cultural influences deliver keynote speeches to enjoying some honky-tonk in a small venue to seeing a film premiere. All musical styles are represented, and while Austin is always a great town for live music, the festival features more than 2,000 different performances from artists representing 60 countries. 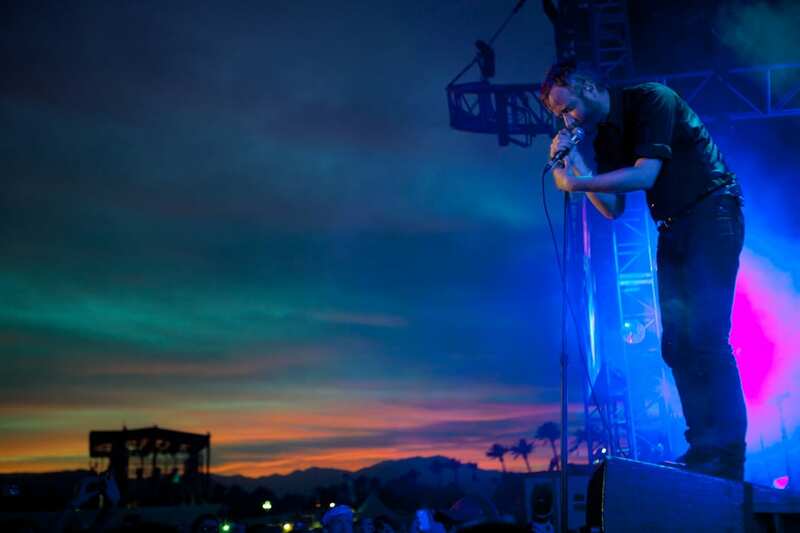 Located just outside of Palm Springs, the Coachella Valley Music and Arts Festival brings more than 250,000 music lovers to the desert on two consecutive weekends each April. This festival is known for its big-name attractions—like Beyoncé and Paul McCartney—and camping out is key for a truly immersive experience. In recent years, the festival has expanded to become a showcase for the visual arts as well, with large art installations and sculptures that have become nearly as big as the music. OK, maybe the massive festivals aren’t exactly your jam. The GoPro Mountain Games in beautiful Vail focuses on adventure sports, art, and music on the first weekend in June. 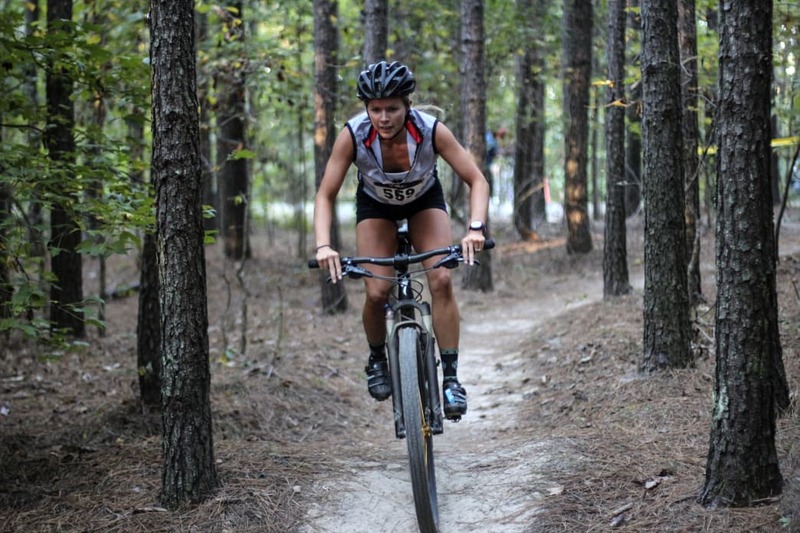 It gives you the chance to get active with trail running, mountain biking, kayaking, and climbing—and seeing some of the best in the world do their thing at various competitions throughout the weekend. Hanging out at the Vail Whitewater Park to watch the kayakers is a blast, and the Ford Amphitheater hosts three nights of free concerts, which is the perfect way to unwind after a day on the trails. About three hours north of New York City, Hunter Mountain is a popular ski destination in the Catskill Mountains. But come June, it’s the host of Mountain Jam festival, which brings musicians from rock, indie, and jam band worlds to this scenic destination. Over the past several years, headliners have included Tom Petty and the Heartbreakers, the Steve Miller Band, and The Head and The Heart. If you’re up for a little mountain adventure while you’re there, Hunter Mountain now operates the longest zipline in North America, where you can do your own brand of free-fallin’. This three-week RiverRocks festival in Chattanooga highlights all the outdoor activities that are available in the region, from stand-up paddleboarding to climbing and mountain biking to trail running. There’s also a wild and scenic film festival that features films on adventure sports, and live music at several different outdoor venues. If you’ve never spent time here, it’s a great way to explore the Tennessee River and Cumberland Plateau—and Chattanooga continues to be an ever-growing city with lots of great restaurants and plenty of activities to keep you busy. This three-day festival has been bringing music, art, and environmental issues to the Louisville Waterfront Park since 2002. While it started as a gathering of local musicians, the Forecastle Music Festival has grown to a major national event, attracting headlines like Jack Black, The Flaming Lips, and Widespread Panic. You’ll find artists representing rock, hip-hop, bluegrass, and electronica, as well as another popular Kentucky export: bourbon. The Bourbon Lodge is styled as a Prohibition-era speakeasy and features samples from distilleries around the state. The promoters put their money where their mouth is when it comes to environmental issues, as $1 from every ticket goes to local nonprofits working to protect ecologically sensitive areas. This festival, which was founded in 1959, is one of the longest running and most influential in the country. While it has expanded a bit from its traditional folk roots, you’ll still find primarily a focus on that genre in its contemporary forms. (The story of Bob Dylan getting booed for going electric in 1965 may be apocryphal, or at least overstated, but this festival does stick to its traditions.) 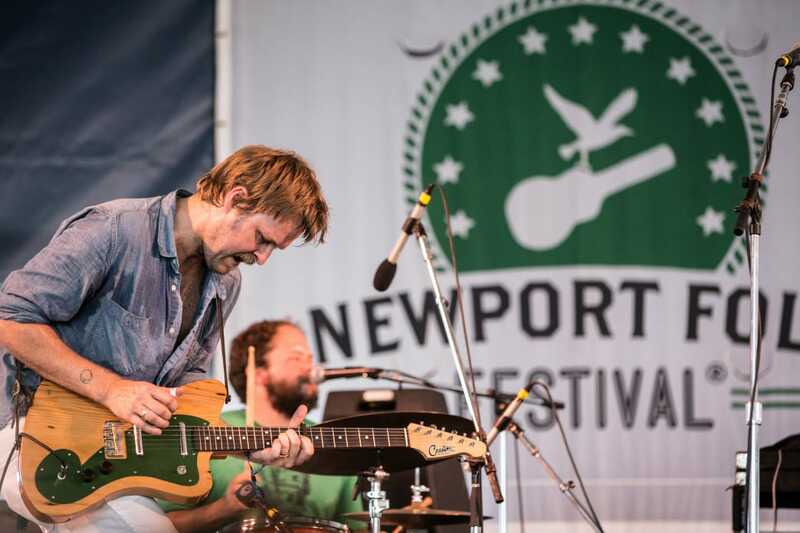 You’ll find four music stages, two beer gardens, and incredible views of the Newport Harbor. If you’re a fan of folk music, this is a bucket-list destination. Written by Jeff Banowetz for RootsRated Media in partnership with Nature Freak Clothing. Five Recipes From Eat This, Not That For Abs!